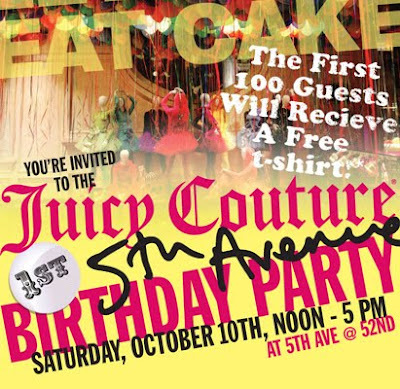 Blogdorf Goodman: Happy Anniversary Juicy! There will also be a taxi staging station in honor of our new glamour TV ads and tops that will be launched offering free rides if you spend over a specific amount. Dylan’s Chocolate bars will also be giving away a special treat to lucky recipients. A true circus you don’t want to miss! I think the photos sound like fun! i think i remember you liking them? Love your Blog so much! I´m from germany and read your Blog. Great job. I follow you, nox! Tianne: Cleveland does not get much action when it comes to beauty events either. Lately...even concerts are bypassing the city. They are playing in Columbus. I do not like this trend.